Image Comics, in my opinion, are pretty much a vehicle for the great writing of Robert Kirkman. The Walking Dead & Invincible – that is what I think of when I think of Image comics. In the last couple of months a new title has arrived that is of such quality that my image of image (sorry) has changed. 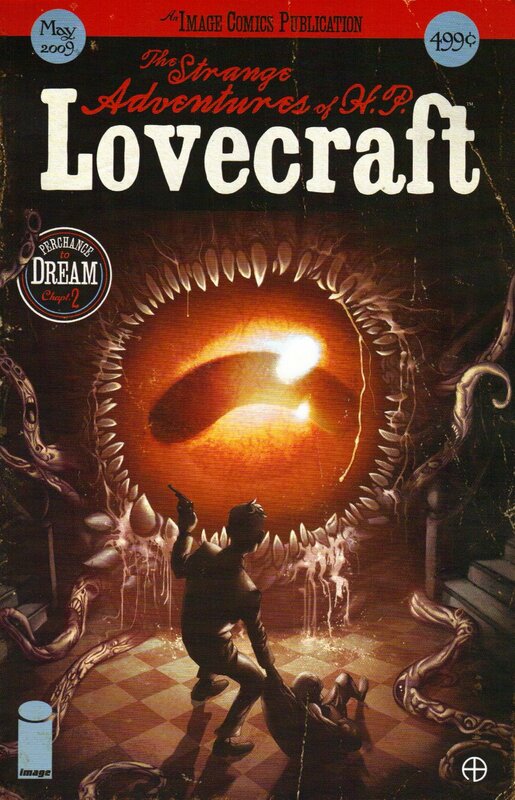 This title, ‘The Strange Adventures of HP Lovecraft’, is that good that you would mistake it for a Veritgo title. the book is topped off with a superbly pulp-y cover from Adam Byrne (see top of the post). 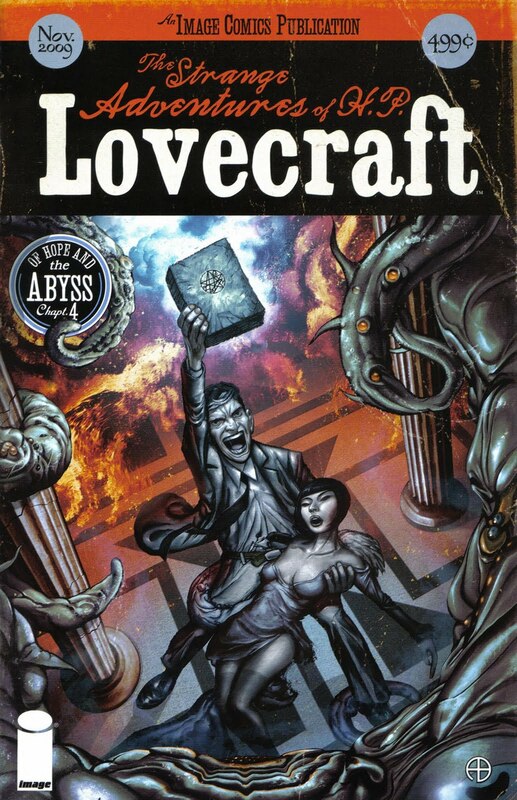 The third installment deals with the aftermath of the attack on Grayson Chesser, who is the lover of Syliva St Claire, who is coveted by Lovecraft. 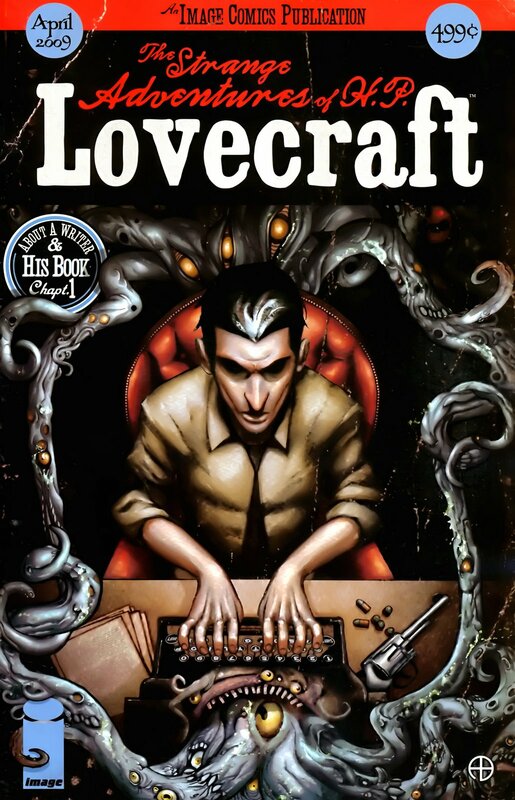 The attack on Chesser was the result of monsters who “have slithered out” from HP Lovecraft’s subconscious and murdered 3, and with Chesser, nearly claimed a fourth victim. 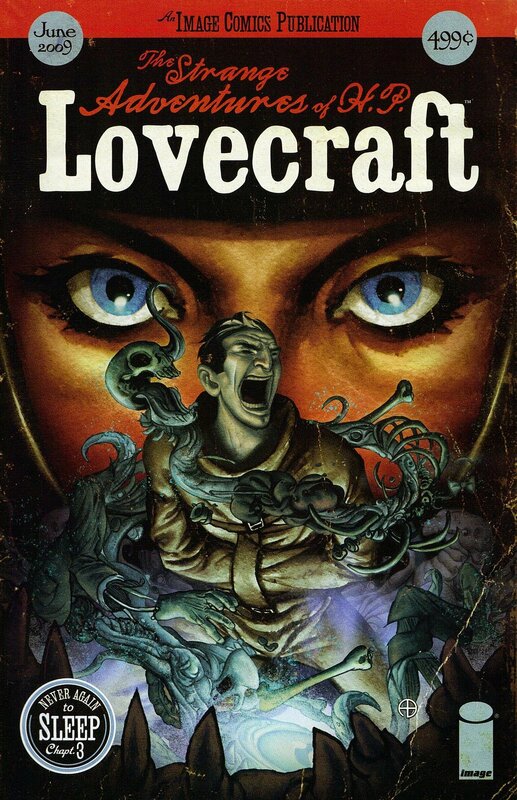 With Lovecraft the main suspect, his elderly Aunts cover for him as he turns fugitive, while his fragile, mentally ill mother warns that the family doctor, Dr Brand, (who is only too aware of the madness that besets the Lovecraft family), that he could be the next victim that very night. It is a beautiful, wickedly entertaining book. A real achievement, in the story, the art, the way the whole package comes together. 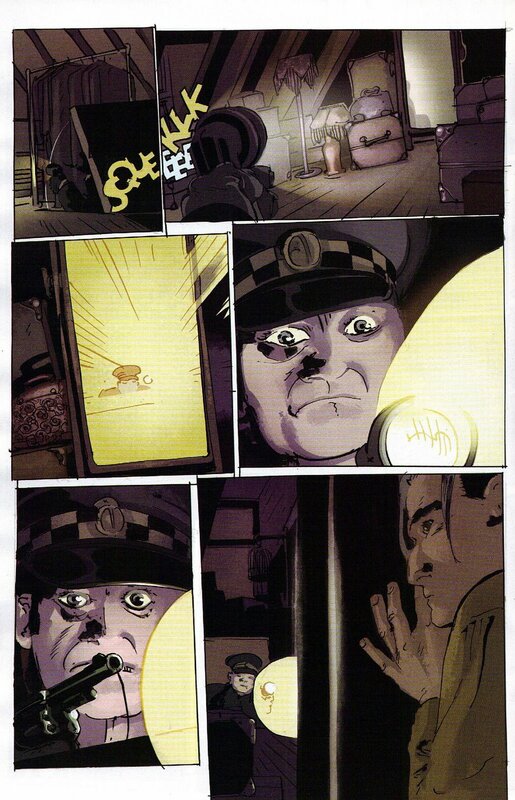 Fantastic overall, and issue 3 maintains the high quality of the previous installments.